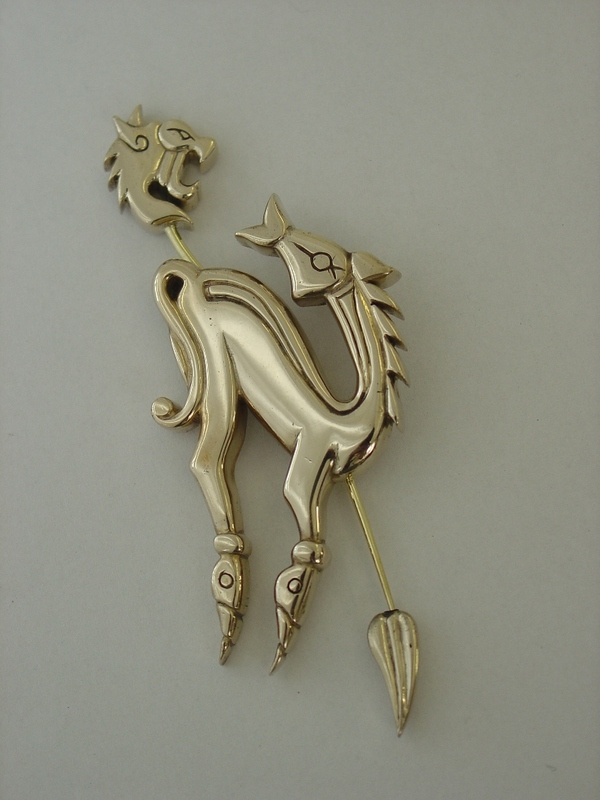 Brooches and pins were the Anglo-Saxon version of the zip! But far more attractive! Used to fasten clothing and cloaks back then, we now also have the luxury of wearing them just to look good and dress up our garments. 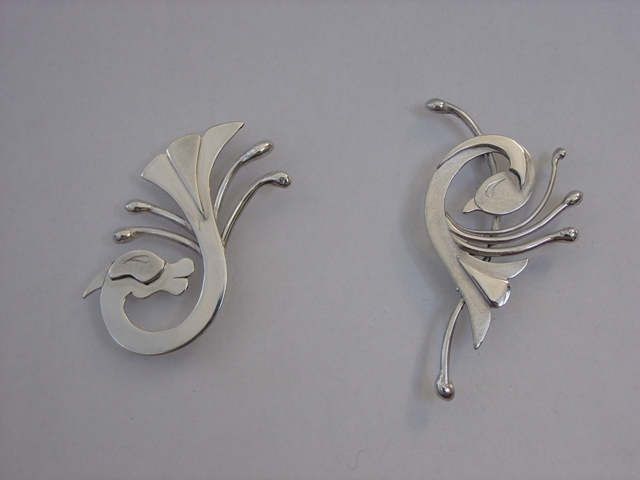 All cast brooch designs are one-offs. 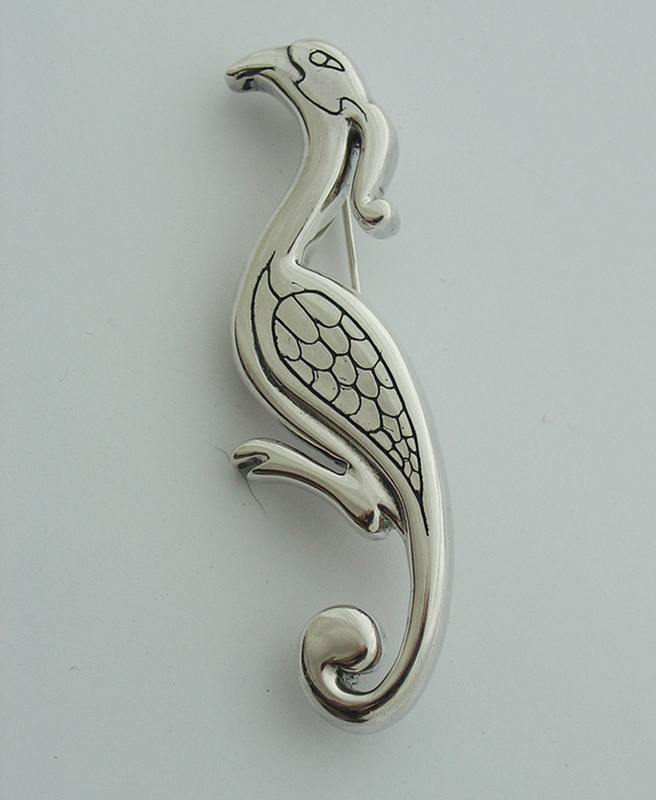 Similar designs can be made up in any metals or pieces can be commissioned to your own design. Stones can be included to your choice if required. 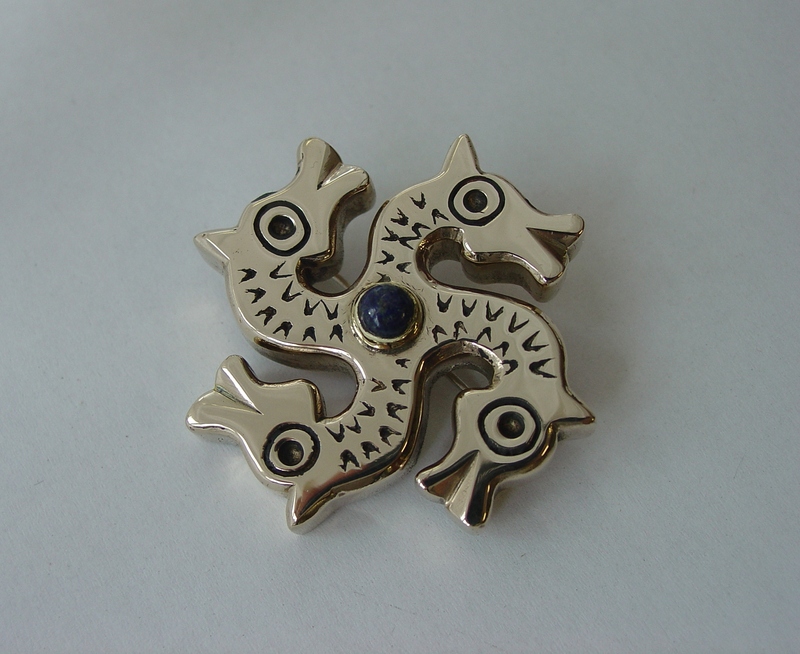 Brooches are generally fitted with a hinged brooch pin and catch but can be made with a stick pin or tie pin fitting. 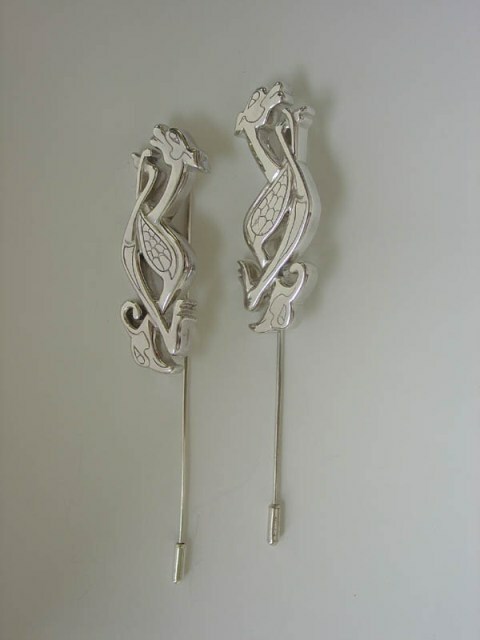 Intertwined silver animal and bird pins, matching pair, stick pins with silver stoppers. Commissioned pieces. 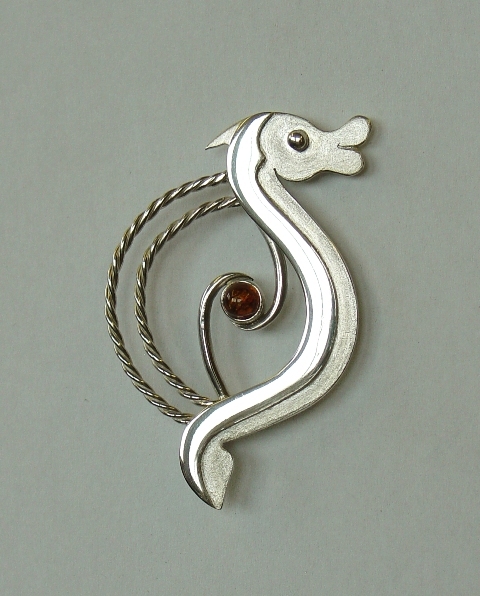 Silver animal, sheet and intertwined wire detail set with garnet. Brooch pin fitting on back. 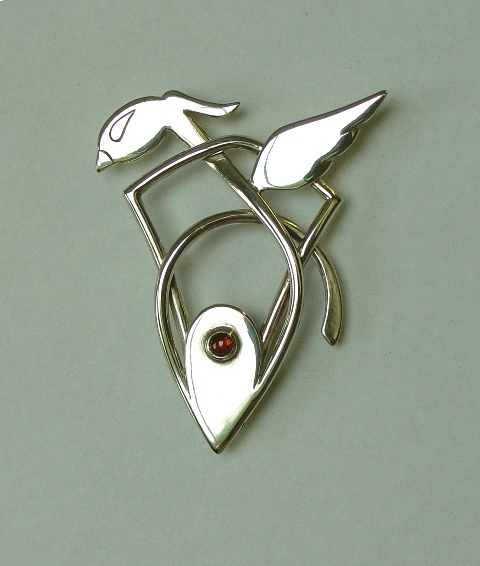 Silver animal and bird , layered silver sheet, texturing and wire detail. 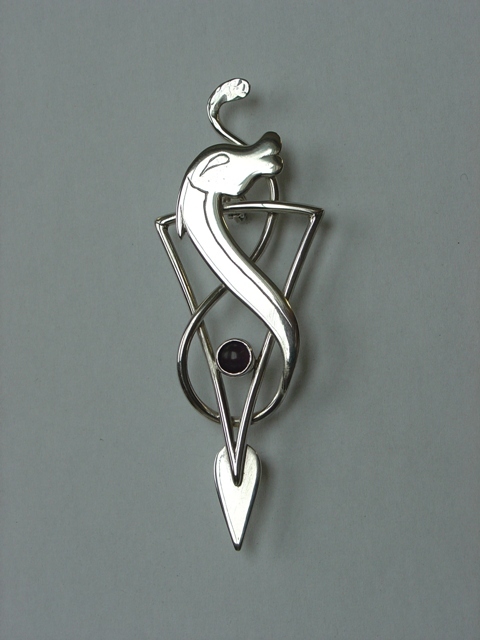 Silver animal, layered sheet with satin effect texturing on body and twisted wire, set with amber. Brooch pin fitting on back.